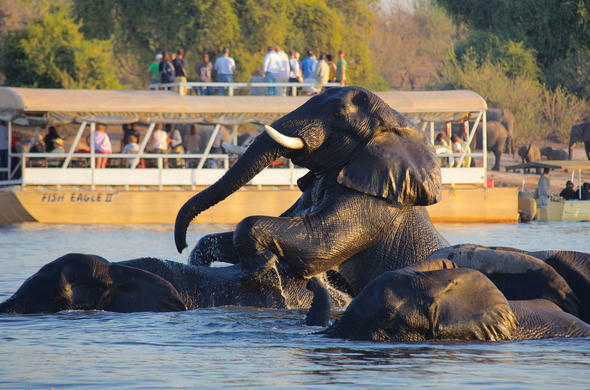 This 5 day Classic Fly-in Chobe safari and Houseboat Experience provides a Botswana getaway with a difference. 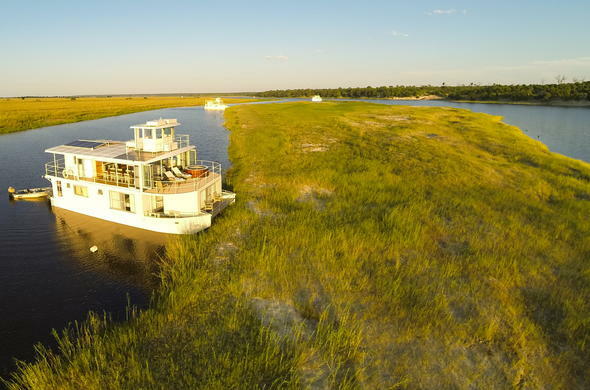 The classic safari combines with a houseboat adventure for a unique Botswana holiday experience. The Chobe Houseboat Safari Package puts a new perspective on the African safari in one of Botswana's greatest wildlife sanctuaries. The traditional safari combines with something new and unique in the houseboat experience, to provide a truly memorable safari holiday. 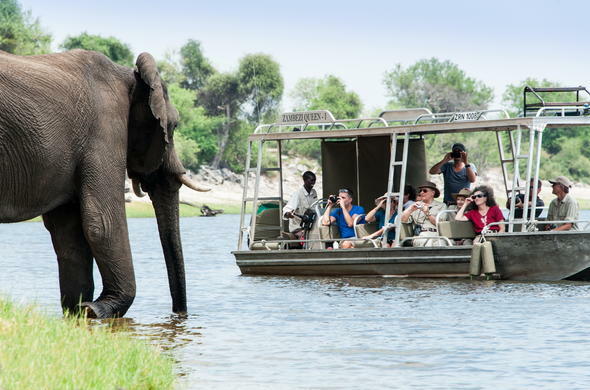 The Chobe River is renowned for its prolific wildlife, and in particular the concentration of Elephants during the dry season, and this safari package ensures the best opportunity to experience the bounty. 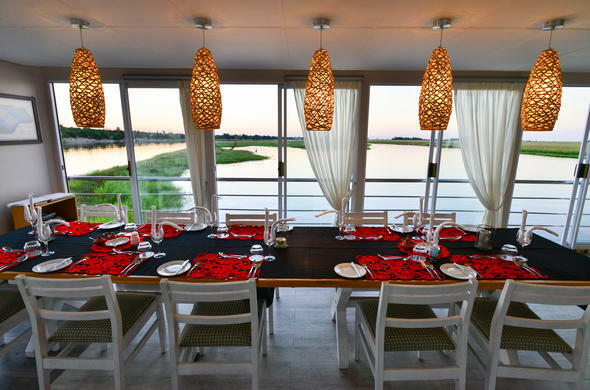 You'll enjoy the comfort of a traditional safari lodge and a luxury houseboat, which allows for an overall appreciation of the wildlife experience of the Chobe River, where animals can be viewed from land as well as water. Today you will arrive in Kasane in the north eastern corner of Botswana on a flight from Johannesburg. 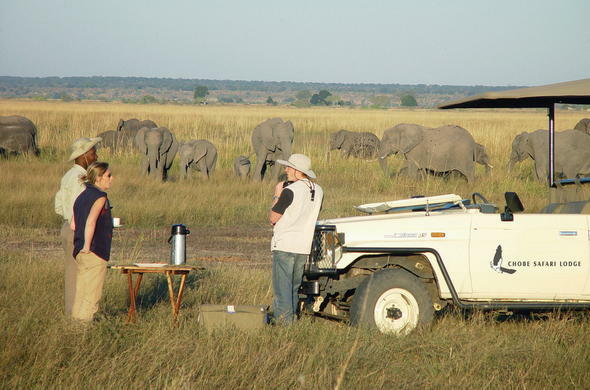 You will be met and transferred to your safari lodge on the Chobe River on the border of the National Park. You can relax looking out over the river before the afternoon game drive or boat cruise to experience the prolific wildlife of the region. Dinner is served to the sounds of the nocturnal aquatic creatures of Chobe. An early wake-up call signals a new day of adventure and fascinating sights as you explore the Chobe National Park on game drives and boat cruises, enjoying the wildlife sightings and explanations from your knowledgeable guides. The Chobe River is a haven for wildlife, especially during the dry season when great herds concentrate along the water. After the morning activity there will be a choice of things to do including fishing and visiting a village to learn about the culture of the area. The afternoon activity can be rounded off with a sundowner on the river, affording one of the most inspirational moments in Africa. There may be time for a morning activity before clearing immigration in Botswana and heading across to the Caprivi Strip of Namibia. You'll be taken to your Chobe houseboat where you will spend the next 3 nights experiencing a new and unique African Safari. The days are about relaxation coupled with the excitement of being in a true African wilderness. The houseboat provides for your every need and activities include bird watching, fishing, game viewing or simply relaxing on the deck looking out over the river. There will be a choice of activities to while away the time, from simply relaxing on the deck of the houseboat to a morning trip to view the Victoria Falls, or a game drive in the Chobe National Park. The guides on the boat are happy to share their vast knowledge and experience with you, and take you out on activities of your choice. They know the area intimately, having crossed every channel and floodplain, and gladly share their passion with you.Being on a houseboat on one of the most famous rivers of Africa is truly a unique experience that cannot be had anywhere else, and this Chobe Houseboat Experience Safari Package is set up to make the most of this truly unique African Safari. This is the final day of your Botswana Safari. Today you will leave the houseboat and head back across into Botswana via the immigration in Kasane. You will then be transferred to the airport to catch your return flight to Johannesburg O.R. Tambo International Airport after a truly memorable African safari experience. This is a 5 day Fly-in package for 2 guests sharing in en-suite accommodation, all inclusive of meals and scheduled activities, flights ex/to Johannesburg O.R. Tambo Airport with set departure days on Monday, Wednesday, Friday and Sunday in the late morning to Kasane and return flight to Johannesburg in the afternoon. 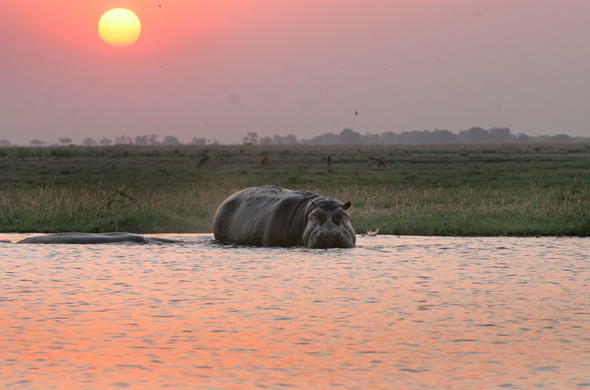 This Botswana package can also be combined with a stay at Livingstone (Zambia) or Victoria Falls (Zimbabwe) at the end, or a fly-in package to the Okavango Delta. Rates may vary depending on the season and daily currency exchange rate.